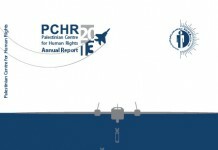 PCHR’s Annual Report contains information on the overall human rights situation in the OPT and a summary of the Centre’s activities and a financial statement. 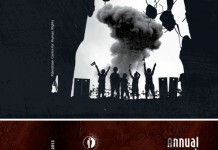 Palestinian Centre for Human Rights (PCHR) has issued its Annual Report for 2007 that covers the period of 1 January – 31 December 2007. 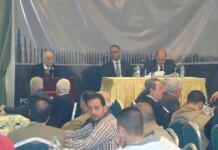 As in the past years, the report contains three parts: (1) a report on the human rights situation in the Occupied Palestinian Territory (OPT); (2) a report on PCHR’s activities in 2007. 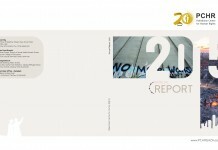 This document contains the Summary and Recommendations sections of the Annual Report which summarize the human rights situation in the OPT in 2005 and detail PCHR’s recommendations to the international community and the Palestinian National Authority (PNA). 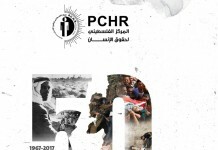 This is PCHR’s full narrative report which includes a report on the human rights situation in the Occupied Palestinian Territory and a report on PCHR’s activities throughout the calendar year.